William Lionel Wyllie was known for his paintings, drawings, watercolours and etchings of the sea and ships. He was a founder member of the Society for Nautical Research whose primary aims were the restoration of HMS Victory and thefoundation of the National Maritime Museum. He painted the Panorama of the Battle of Trafalgar in Portsmouth Dockyard which was unveiled by George V in 1930. 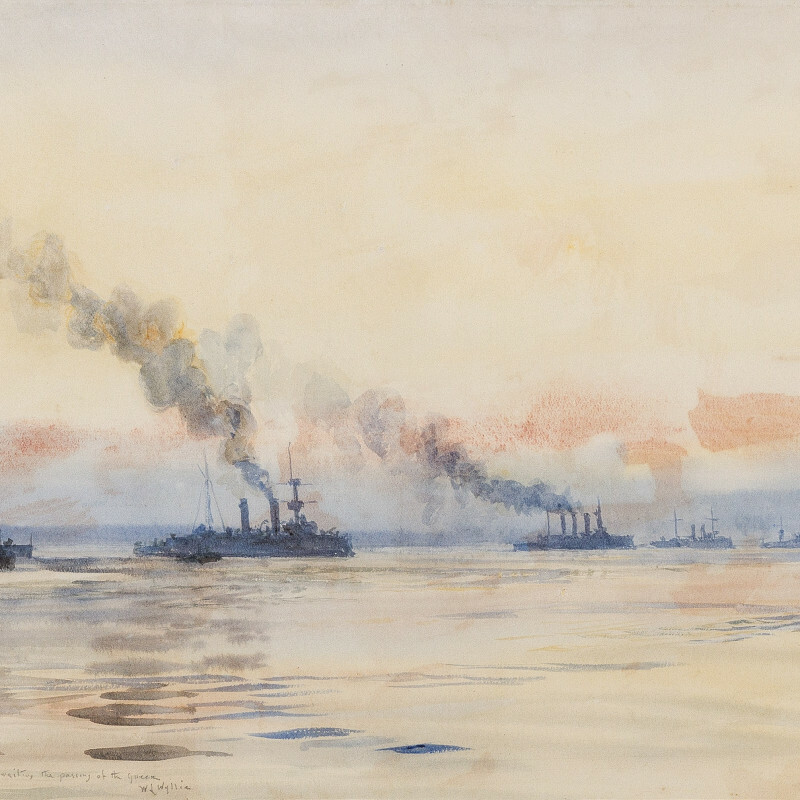 Wyllie made his name in the 1880s with his unconventional paintings of the River Thames and is known for his paintings of the Navy, his late work, the Panorama of the Battle of Trafalgar, his watercolours, and his dry point etchings. Wyllie’s Thames pictures led him to be elected an Associate of the Royal Academy in 1889. By 1907, when he became a Royal Academician, he had moved to a house at the entrance of Portsmouth Harbour. He had largely turned to painting naval and historical subjects. Nevertheless, he continued to make prints of London and the Thames to the end of his life.